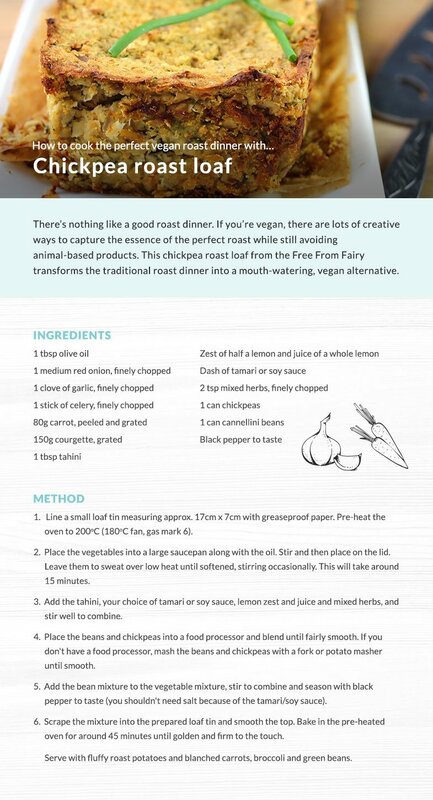 Low Carb, Gluten-Free & Vegan Roast Dinner Swaps | The Free From Fairy. Morning! Or is it afternoon? I am seriously sleepy today. I have no excuse, I slept well and I went to bed at a reasonable hour but I think my body is going into shut down mode from too much thinking of late. Anyway, whatever it is, I have a treat for you today. Not one, not two, but three recipes in one post! 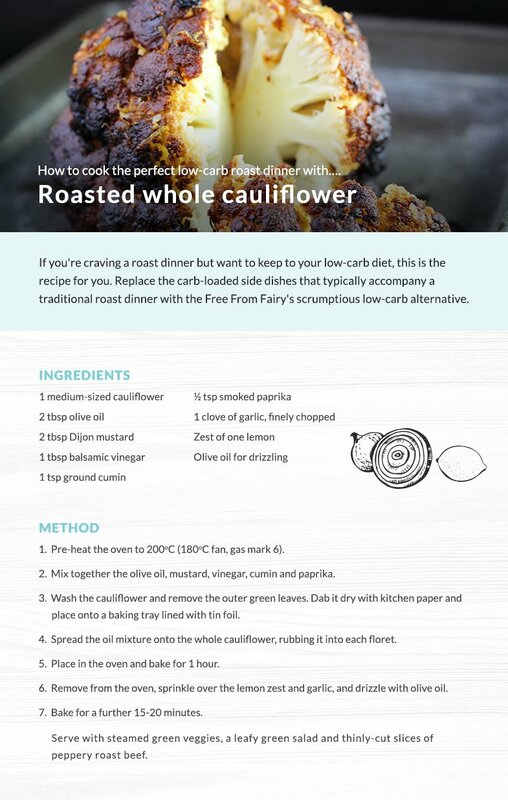 A few weeks ago I was approached by Currys/PC World and asked to create three recipes for them making a roast dinner low carb, gluten-free and vegan. I love this kind of challenge so jumped at the chance. Within hours I had planned some epic gluten-free Yorkshire puddings (after all you can’t have roast beef without them), a low carb roast cauliflower to replace the roast spuds and a vegan chickpea loaf to replace the meat. 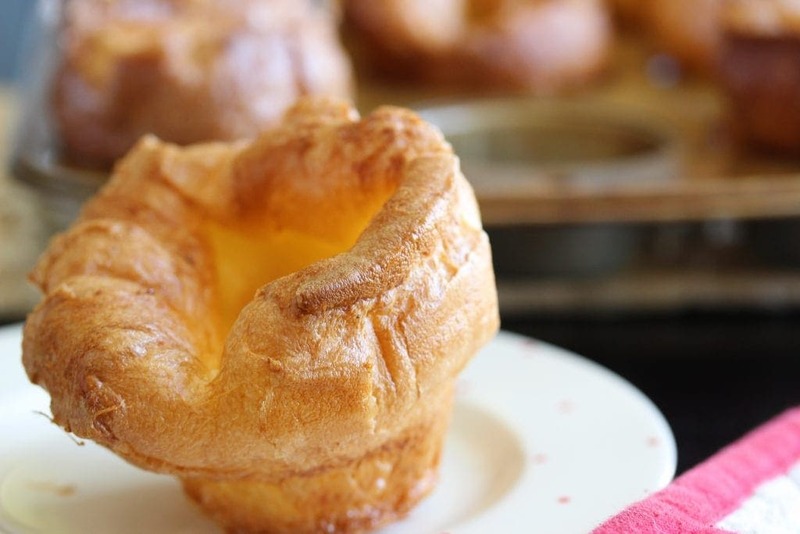 The Yorkshire puddings can be frozen and re-heated in the oven for around 15 minutes so if you don’t fancy having to make them as well as the rest of the roast dinner you can make a few batches ahead of time. One of my favourite recipes of old is Yorkshire pudding filled with cauliflower cheese (alas no longer made as the kids hate cauliflower cheese), so if you’ve got any left over cauliflower, make a cheese sauce with my wholegrain plain flour following a simple recipe like this one, pour it over the cauliflower and pile into the hot Yorkshires. Now if that hasn’t given you weekend inspiration I don’t know what will. It’s my birthday tomorrow and I’ve been promised a cake by Roo. If that happens it will be the first year for many that I haven’t made my own. It is also the first year for many that I haven’t even bothered to think about cake. Either that’s because I’m not fussed about turning another year older or I’ve turned a corner on the sugar front. I’ll let you decide which one of those it is (but if you saw any of my Facebook posts over Easter it might give you a clue)! Have a good weekend and enjoy your roast dinner. Excellent work Vicki, fancy doing recipes for Curry’s/PC World the images and recipes look awesome. You can tick that box now, done…have another coffee! 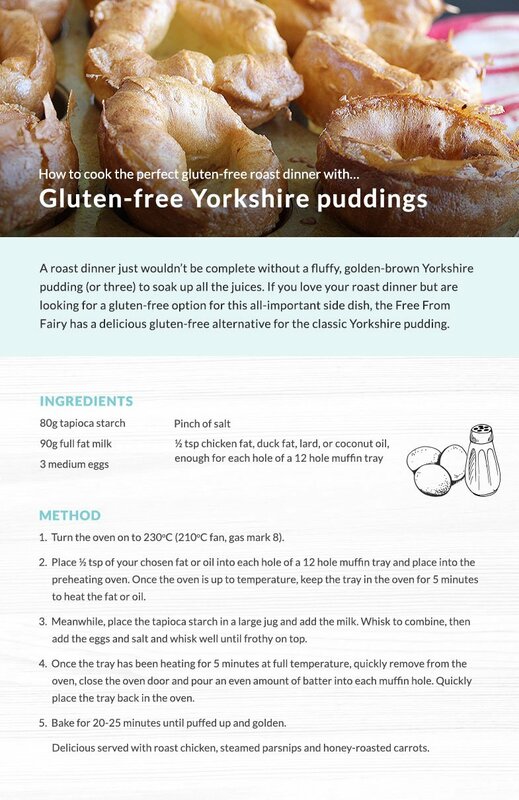 Best gluten yorkshire pudding recipe I have ever tried (and believe me, I have tried others)! Easy to make – very big/high tops (raised very well) – it was excellent tasting too. You would have trouble knowing it was gluten free too. Guests loved it. Yay! Result. That’s always my aim that people who eat gluten wouldn’t know that their food is gluten free.